A feast fit for the gods in Buttes Chaumont on May 29, 2017. 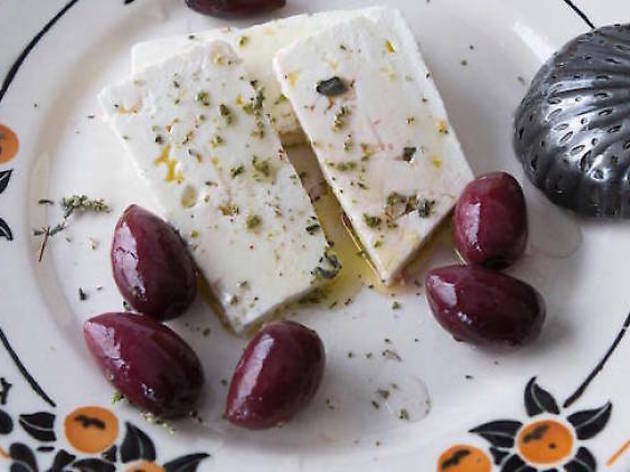 These are just a few of the delicacies on offer at the banquet dedicated to Greek gastronomy in Buttes-Chaumont on May 29. The event is hosted by Alexandro Raillis, founder of Profil Grec - a company that supplies the best Greek products to french chefs. Raillis is joined by Georgios Ioannidis, an importer of Greek wines, who speaks with as much poetry about wine as Homeric literature. You can discover their talents as well Gouzos, Dragonas, Trikalinos, ​M​emmos and other producers at Pavillon du Lac, Buttes-Chaumont, on Monday. Roland Theimer will also be there to give his spin on the delicious dishes. 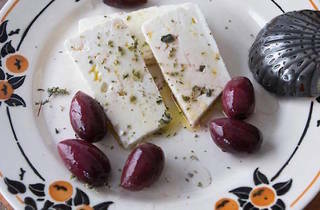 There will be a menu of specialities including beef marinated with salt from Trikalinos Co, origano, olive oil and lemon zest; potato carpaccio with AOP feta, onion confit with honey and Ekonomou vinegar; or a Bekri Meze of slow-roasted pork. A feast fit for the gods.